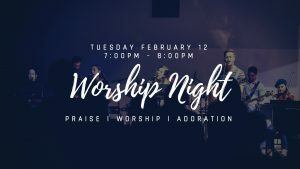 All parishioners are invited to our Worship Night on Monday, February 12th 7:00-8:00pm in the Church. Everyone is invited! All ages are welcome to join. Let us worship together, in Spirit and truth!